Along with the publisher, Skira Rizzoli, The Studio Museum in Harlem released a photographic survey of nearly two hundred images of Harlem from the early 1900s to the present. Harlem: A Century in Images tells the story of Harlem through the eyes and lenses of some of the most important artists and photographers of the twentieth century. 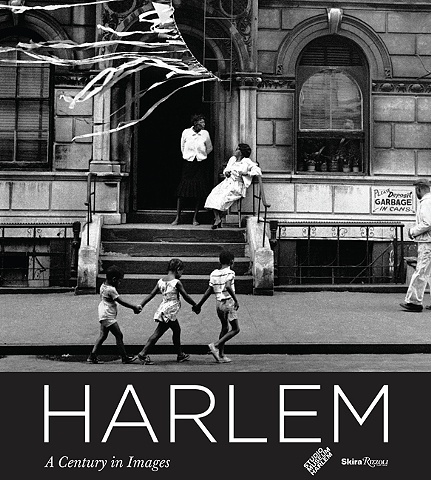 The first book of its kind, Harlem will also include essays by Deborah Willis, Cheryl Finley and Elizabeth Alexander, with a forward by Dr. Henry Louis Gates, Jr. Artists include: Richard Avedon, Eve Arnold, Alice Attie, Dawoud Bey, Cornell Capa, Henri Cartier-Bresson, Leonard Freed, Chester Higgins, Jr., Helen Levitt, Gordon Parks, Jamel Shabazz, Aaron Siskind, James VanDerZee and Weegee.